Connecticut Paving Pros offers commercial and residential paving services to the city of Danbury CT and surrounding areas, including New Fairfield, Bethel, Redding and more. Residential paving company - If you are in need of a new driveway or private road, you have come to the right place! Commercial paving contractors - We also offer a full range of commercial paving services from parking lot paving to parking lot repair, re-sealing and resurfacing. ​We have 67 years of experience in both residential and commercial paving. Asphalt is not only an affordable option but extremely durable. With minor maintenance it last decades. Unlike other pavements, asphalt can be easily repaired to dramatically increase its lifespan. If you’re in need of a new installation, repair or replacement give us a call to schedule a free estimate. Quality paving - Our quality is unmatched! We have several generations of paving experience under our belts. Local Paving company - We are based in Connecticut with multiple locations (based out of Danbury). These means we know the area, know the weather and know how to pave correctly for our climate! If you are looking for "a paving company near me" then that's US. Blacktop pavement - We work with all types of blacktop, heavy duty pavement and light duty pavement. There is no one size fits all when it comes to paving; every project we work on is custom. During your free estimate we will discuss all of your needs to include, desired look, budget and more. Driveway Paving and Resurfacing - Connecticut Paving Pros can build your driveway from the dirt-up or resurface or repair your current driveway. Private Road paving - Are you and your neighbors tired of driving down a muddy icy road? We can help by turning your mud track into a smooth road. Basketball Court Paver - Ready to shoot hoops in your backyard? Yeah, we can help make that dream a reality. We can't help you with your 3 pointer but at least we can give you a place to practice. Residential Striping - We can provide striping services of all types from Tennis courts to basketball courts. Free residential paving Cost Estimates - Thinking about getting that new driveway but no clue on how much it's going to cost? No worries, we provide free, no obligation estimates so you know exactly how much your project is going to cost. Tar and chip driveways contractor near me - Tar and chip is material that can be decorative with the durability between gravel and full asphalt. It can be used in all types of applications like ​walkways and decorative driveways. ​We can greatly improve the aesthetics of your home whether you are in need of a new driveway, walkway, private road or basketball court for your children just to name a few we can provide you with excellent service. Have a question about your paving project? If you would like to speak to a live person about your parking lot or driveway paving questions give us a call. Industrial paving contractor - If you have an industrial space, a warehouse or just a large multi-use lot. We can take care of that for you. We will make sure your drainage is not an issue and you pick the right type of pavement based on your needs (like heavy duty or light duty). Airports and Runway paving Company- If you need to pave an air strip, public or private, we can help. Commercial paving contractor - Have a commercial lot that needs some help? No problem. What about an RV Parking storage facility? No problem. How about a normal storage faculty? No problem, we can help with that too. Everything from speed bump to air strips. Business paving services - If you have an office complex or a business condo complex, we will be happy to provide a free estimate for any work you need. Free commercial paving estimates - A commercial paving job is a huge investment so make sure you get a free quote (and from multiple companies). 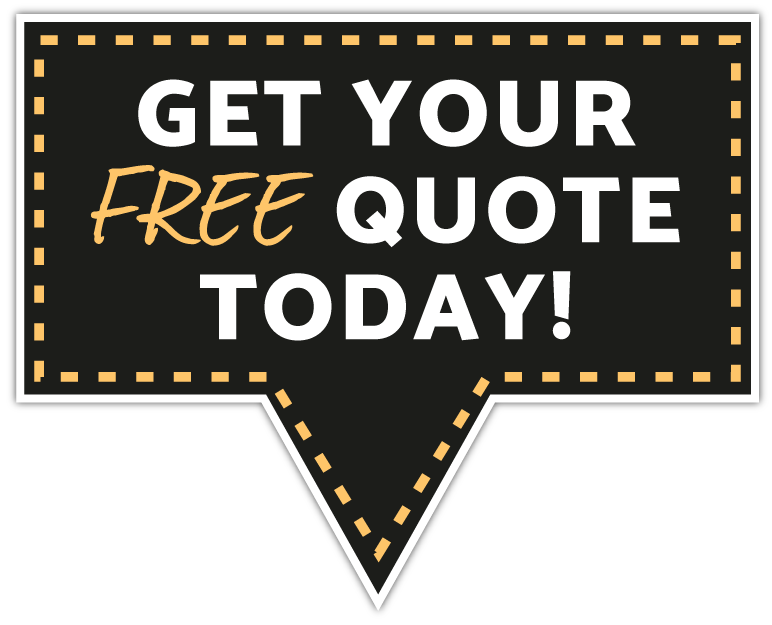 Also, make sure the quotes (especially the cheapest one) is the right one for you because that cheap quote may be from a unlicensed, uninsured paver or from someone that tacks on extra fees or simply does not know what they are doing. ​Our team is experienced in working on commercial paving we are committed to working with your construction schedule and coordinating with the other trades to complete the project in a timely manner. We have 67 Years of experience in the commercial paving business, we have experience you can count on. For a roofer look elsewhere. New Parking Lot Installations - If you need a parking lot installed then we would love the chance to provide a bid for you. We can work on large and small lots of all shapes and sizes. Parking lot Resurfacing - Sometimes a new parking lot is not required and you can simply mill and grind off a top layer of your existing lot and apply a fresh new top coat layer. This is known as Resurfacing. Church parking lot paving - When your church is in need of a brand new parking lot or repairs to an existing lot, you can trust us to get the job done right. Paving services Malls and Strip Malls - Is the parking lot in your shopping mall keeping customers away? We can fix cracks and bumps, or set you up with a new asphalt paving installation. Office and office parks paving company - We offer a full range of quality paving services to keep your office park, and your business, looking professional. We take great pride in creating parking lots that are built to last and will help you design the best parking spaces and traffic flow to meet your property’s needs. All while working around your business to keep you operating, and making it as convenient to your customers as possible during the process. ​We offer a variety of paving services for your business from new installation, protection or repairs and replacements. Your property’s parking lot is a huge investment, protect the longevity of it by periodically having it seal coated, often referred to as resealed. We recommend sealcoat and crack-filling every 2-4 years to maintain your parking lot and prevent expensive repairs for decades to come. By repairing your parking lot, as needed it can prevent damage from spreading and turning into a costly parking lot replacement. Call us at the first signs of damage for a free estimate on a repair and to stop the damage from spreading and becoming more costly. New Driveway Installations - Are you in need of a new driveway installation for your home? We are happy to help. We can work on large and small driveways of all shapes and sizes. Asphalt Driveway Resurfacing - If your existing driveway is in need of repair, resurfacing may be a great option to avoid a brand new installation. This can be done with milling and grinding of the existing driveway and applying a new top layer. Re-Paving a Driveway - Is your driveway damaged beyond repair? We can remove the existing asphalt and lay down a brand new driveway installation start to finish. Driveway Excavation and Grading - Before paving a new driveway, it is important to survey the land. Grading the area for the new driveway will ensure its stability, and excavating the ground can be done if there are elements in the ground making it unstable. Proper Drainage for Driveways - We take drainage into consideration when planning a new driveway or repairing an existing one. It is important to make sure water does not pool in or around your driveway, which can cause damage over time. ​Adding a paved driveway to your home adds to the values of your home, and improves your curb appeal. The team at Connecticut Paving Pros would love to offer you a free estimate on you new driveway project, at this time we will discuss your options, answer any questions you have and provide you with an estimate of the cost involved.